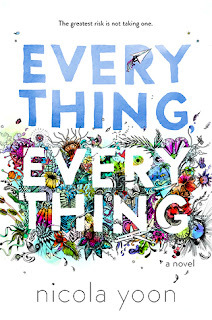 I want to start of this trailer reaction/review post by saying that I absolutely loved Everything, Everything by Nicola Yoon. 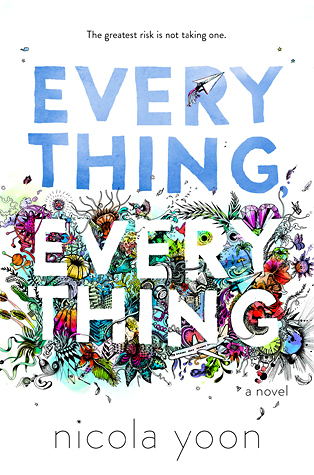 It was one of my favorite books of 2015 so when I heard that it was being turned into a movie, I was excited. Then I heard that Amandla was cast as Maddie and I couldn't be happier. She fits the role amazingly. After waiting for over a year, here we are today with the brand new trailer for the movie. 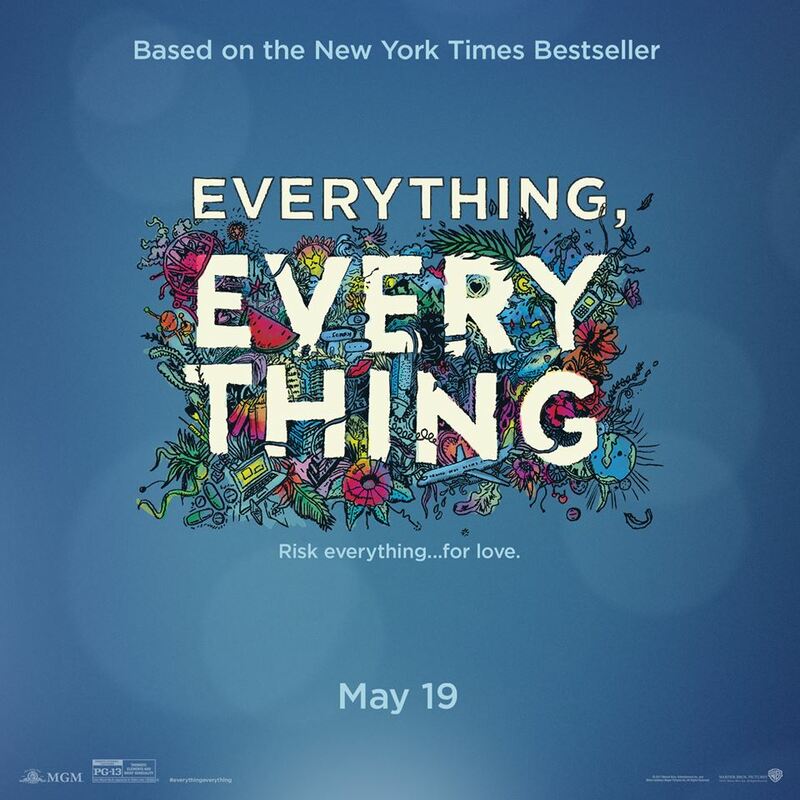 I was reluctant to watch it because, as we all know, the thing with trailers and YA book to movie adaptations is that it can go either of two ways: be a complete disaster (*cough*Divergent series*cough*) or absolutely nail-on-the-head amazing (*cough*The Fault in Our Stars*cough*). Everything, Everything falls somewhere in between those two. Don't get me wrong, it doesn't look bad BUT the trailer is showing way too much, like way, way too much and thus spoiling many interesting plot points that would've been much more convincing and surprising when watching the movie if we wouldn't have seen them in the first trailer. Disclaimer: This is very much a train of thoughts type of review since I'm re-watching the trailer as I write down my thoughts to give you my most authentic ones. Hopefully that's okay. Let's rewind a little and start at the beginning. I am a fan of the house and finally being able to properly visualize how it looks like and how this whole closed off system kind of thing works that is keeping Maddie away from all the bad bad things outside. It's very high tech, but not too much, so it's convincing and I like that. I love the opening narration that perfectly sums up Maddie's life and immediately catches your attention. Great job with that one. Then there's the shot of Maddie in her window and Olly sitting in the back of the truck, great way of telling us that he's the new kid without actually saying anything. 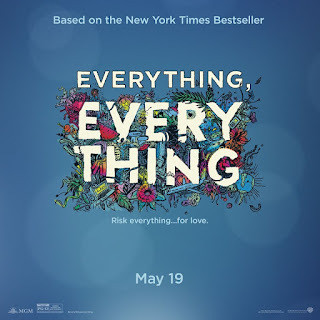 Moving on, I like the on screen text messages that pop up instead of being read out loud which reminds me of The Fault in Our Stars, though this one doesn't have the fun, quirky animations which is fine. Many people don't like texts and emails being part of movies and shown on screen and all that, but i actually like it. Our lives are full of texts and such so it adds to the realism. Besides reading a couple words doesn't take away from the movie in any way. Then we get the scene where Olly visits Maddie and I really like it. The dialogue is funny and Maddie seems a bit shy which makes sense especially when you remember that she's never been outside and thus never really had any real life friends besides her mom and her nurse. "You're really different than I thought you're gonna be"
"What would happen if you went outside?" Yes, please, more of these types of dialogues and I will be a happy person. And that is basically where I think we go downhill into SPOILERS territory. Olly asks Maddie where she would want to go if she could go outside and we see a shot of her in the ocean, since that's her answer. That in and of itself would be fine since it could be like a 'of I wish this is what I would be doing' type of sequence but it doesn't end there and I think that's a shame really. We have Maddie's mom firing her nurse, telling Maddie that she won't be able to see Olly again, and then to top it all off we have these shots of Maddie going outside. Again the latter would be fine if we'd end it here, leave it open to discussion and raise curiosity. But of course we do not. The trailer continues and shows us Maddie and Olly actually going to the ocean and that, my dearest reader, is that one step too far that definitely and truly moves into spoiler territory. As book reader I know it happens, they go there and everything, but as movie watcher that is something I wouldn't want to find out through the trailer. That's definitely something they should've left out to make that part of the movie more surprising and interesting. But they didn't. Let's talk about music. I really like the songs they've chosen for the trailer, they fit really well and make me curious if the movie soundtrack will be just as good. I am a sucker for good movie soundtracks so that's a good sign. Besides, having a Beyonce song just adds awesome points to the movie simply because it's Beyonce. Overall the trailer looks fine. I like the cast, the dialogues seem good, the cinematography feels YA and the music is good. I will definitely watch it, that's not a question, simply because I loved the book and I want to see how they managed to translate it into movie form. But looking at it from just a movie viewer perspective I think the trailer lacks a certain something that would truly grab your attention and make it stand out. Maybe it's because it's another YA book-to-movie adaptation, maybe it is because we already had The Fault in Our Stars starring kids with illnesses, in that case cancer, as main characters, or maybe it's neither of those but something completely different. I am looking forward to seeing more snippets and trailers, and in May the full movie. Hopefully it will be just as good as the book. Let me know your thoughts in the comments below or tweet them at me, @Alice_Reeds.